For many populations that are already socially marginalized, resource dependent, and with limited capital assets, human security will be progressively undermined by environmental change. 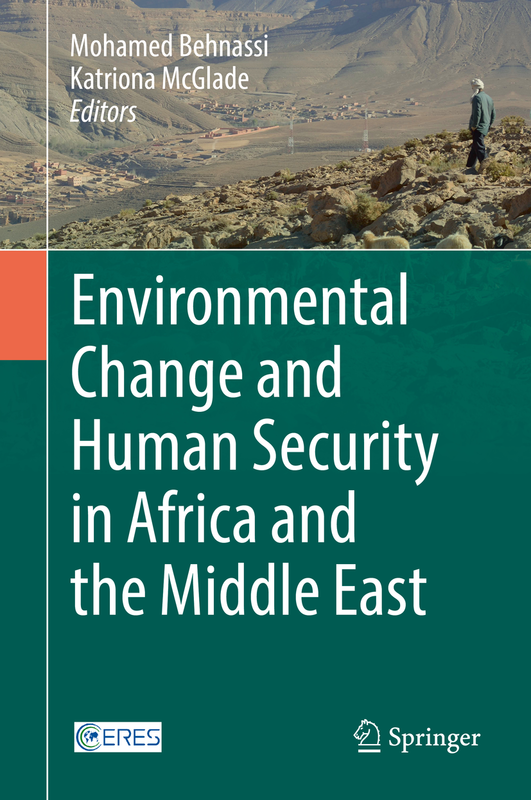 A new book, co-edited by Katriona McGlade, Fellow and Coordinator of International Development at Ecologic Institute, examines interactions between environmental change and human security in the Middle East and Africa. The collected volume, published by Springer, demonstrates that global environmental change in general, and climate change in particular, are putting both human security and human rights (such as right to life, health, shelter, and food) at risk. The fifteen contributions provide topical analysis from a range of disciplines on the theory, discourse, policy and practice of responding to global environmental change and threats to human security. Case studies from Morocco, Tunisia, Egypt, Turkey, Iraq and Syria provide empirical evidence, with a focus section dedicated to the critical issue of water resources and water security in the region. Chapter 3 "Is Human Security a Relevant Concept in the Context of Climate Change Adaptation Policies?" was written by Katriona McGlade, Christiane Gerstetter, Elizabeth Tedsen and Rodrigo Vidaurre of Ecologic Institute. The volume is based on papers presented during the International Conference on Global Environmental Change and Human Security: The Need for a New Vision for Science, Policy and Leadership in Marrakesh (GECS2012) organized by the North–South Center for Social Sciences, Morocco (now the Centre for Research on Environment, Human Security and Governance (CERES)) and the Deutsche Gesellschaft für Internationale Zusammenarbeit (GIZ) GmbH, Germany, in collaboration with the International Center for Biosaline Agriculture (ICBA), United Arab Emirates and the Moroccan Ministry of Environment. Behnassi, Mohamed and Katriona McGlade (eds.) 2017: Environmental Change and Human Security in Africa and the Middle East. Springer International Publishing Switzerland. 2 Global Environmental Change and the Crisis of Dominant Development Models: A Human Security-Centered Analysis. El Fellah, Reda et al. 3 Is Human Security a Relevant Concept in the Context of Climate Change Adaptation Policies? McGlade, Katriona et al. 4 Climate Change Impacts on Water Availability and Human Security in the Intercontinental Biosphere Reserve of the Mediterranean (Morocco-Spain). Pascual, Diana et al. 5 Impact Assessment of Environmental Change in Nuba Mountains of Sudan. Deafalla, Taisser H. H. et al. 7 Eco-Adaptation Strategies of Health to Climate Change: Case of Zoonotic Cutaneous Leishmaniasis(ZCL) as Vulnerability Indicatorin Pre-Saharan Region of Morocco. Kahime, Kholoud et al. 8 Anticipating Emerging Risks and Vulnerabilities from Sea Level Rise Induced Preventive Resettlement in Greater Alexandria, Egypt. Baumert, Niklas et al. 11 Water Resources, Food Security and the Role of Virtual Water Trade in the MENA Region. Antonelli, Marta et al. 15 Environmental Change and Gender: Rethinking Traditional Approaches to Food Security in Rural Beitbridge, Zimbabwe. Matsa, Mark et al.